Clean Energy BC hosted the 2014 edition of its annual conference, Generate, in Vancouver, BC, Canada from Oct 15th to Oct 17th. The title this year “More than Electrons” challenged the energy community and the whole society to wonder about the broad benefits brought by clean power and independent power producers. 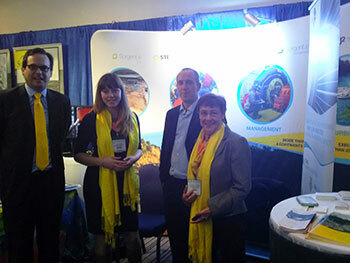 In an environment of expectations due to potential big changes in the generation picture that British Columbia (BC) might experience in the next years, Sorgent.e was invited to talk about international markets. Immediately after the conference opening, Lucas de Haro, CEO of Sorgent.e Hydro Canada spoke as a panelist at the session: Beyond BC - How BC Clean Energy Innovations & Entrepreneurs Are Branching Beyond BC & Conquering the Globe. 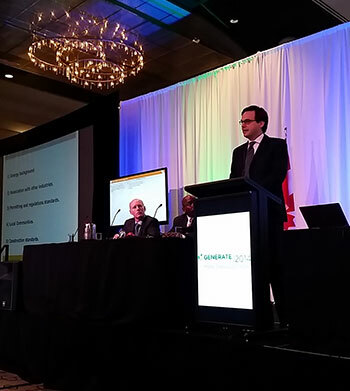 De Haro presented a comparative analysis between BC and Latin American (LATAM) focused on BC strengths and how they can be exported to neighbouring countries from the south. Sorgent.e’s work with local communities in both British Columbia and Latin America raised the interest of the audience, eager to better understand how to apply the expertise on social aspects from BC in LATAM and vice versa. A further session titled The Global Energy Shift: What British Columbia Can Learn from Asia, Europe, the United States, and LATAM, co-chaired by de Haro, hosted an outstanding array of overseas experts that reviewed clean energy policies from all over the world. Amongst them, Luca Frigerio - director of Sorgent.e – went through the different practices and trends from Mexico to the Patagonia. After a general overview, Frigerio focused his speech of two very different markets: Guatemala and Chile. The dialogue with the attendees was very direct; they wanted to know which Latin American country is most favorable to Canadian companies to invest. Off the podium, the intense activity of Sorgent.e at Generate continued at its booth. The ever attractive VLH turbine gathered numerous visitors asking about the internationally patented product. First Nations representatives and consultants saw the VLH as an opportunity for their communities. This turbine, that works with very low heads and high flows, is not a conventional solution for BC, but a potentially great fit for the Micro Standing Offer Program (a program to purchase electricity from independent power producers through projects <1MW). By means of its development activities and VLH turbines supply, Sorgent.e is strengthening its presence in Canada, where it has already become a player in the local clean energy community.